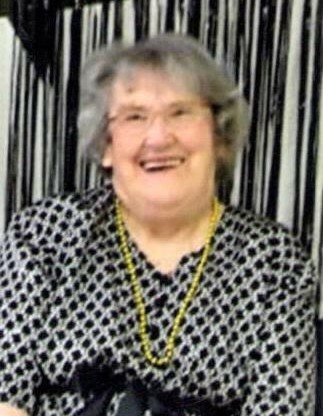 Mayme Louise Carrier, 84, of Stanford, KY passed away on September 7, 2018 at Stanford Care & Rehab in Stanford, KY. Born May 22, 1934 in Lincoln County to the late Joseph Lawrence Carrier and Fannie Ann Moore. Mayme enjoyed attending the Lincoln View Center where she was a member for 20 years. She was also a member of Green River Pentecostal Church. Survivors include one brother, Victor M. Carrier of Amelia, OH; and two special nieces; Peggy Grimes of Geneva, KY and Aggie Patterson of Nicholasville, KY. In addition to her parents, she was preceded in death by five brothers; Roy Carrier, Rev. Alfred Carrier, Joseph Duran Carrier, Richard C. Carrier, and Danny Carrier; two sisters; Noreen Peck and Lois Reed. A visitation has been scheduled for Tuesday, September 11, 2018 from 1 pm. to 2 p.m. at Spurlin Funeral Home in Stanford, KY followed by a graveside service at Buffalo Springs Cemetery in Stanford, KY.
Honorary Pallbearers are William R. Patterson II, Ginny Goodpaster, and Rita Owens. In lieu of flowers, donations may be made to Heritage Hospice in Danville, KY or The Special Olympics. The family would also like to say a special thank you to all the Staff at Heritage Hospice in Danville, KY.